We’re speaking of course, about the events of May 30 of last year, in the semifinals of the B.C. senior boys Quad-A rugby championships at Abbotsford’s Rotary Stadium. 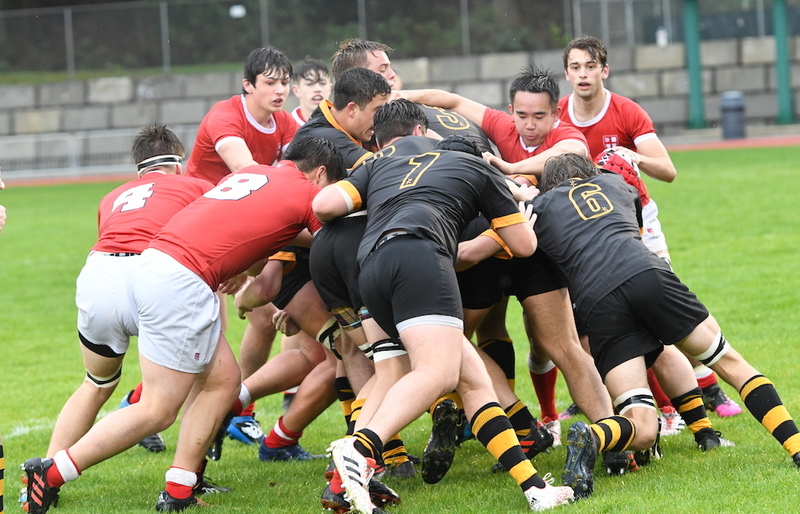 Vancouver Island’s Shawnigan Lake Stags had opened by building a 21-0 lead over their arch rivals, the St. George’s Saints, but then seemed powerless as the Vancouver school rallied to claim a 24-21 lead later in the second half. The Stags, however, still had enough to score two unanswered tries and win 31-24, booking yet another trip to the B.C. final. To the Saints credit, perspective was their second-best quality Friday afternoon following a dramatic victory over Shawnigan Lake in the opening round of the Stadium Series at Burnaby’s Swangard Stadium. Their No. 1 strength was their resiliency, and when you put the two together in a such a time-honoured rivalry game, you can most definitely count the 2019 B.C. high school boys rugby campaign as officially underway. Scrum half Connor Palmer scored the winning try as the game clock turned to extra time, and St. George’s left the field with a 15-13 victory. “It was just a simple 2-on-1 and (Palmer) made the decision to keep it because their winger was on our winger,” explained Saints’ head coach Mike Stiles. “(Last year’s semifinal) may have been on their minds a little bit, but I think our guys are just worried about their season right now. 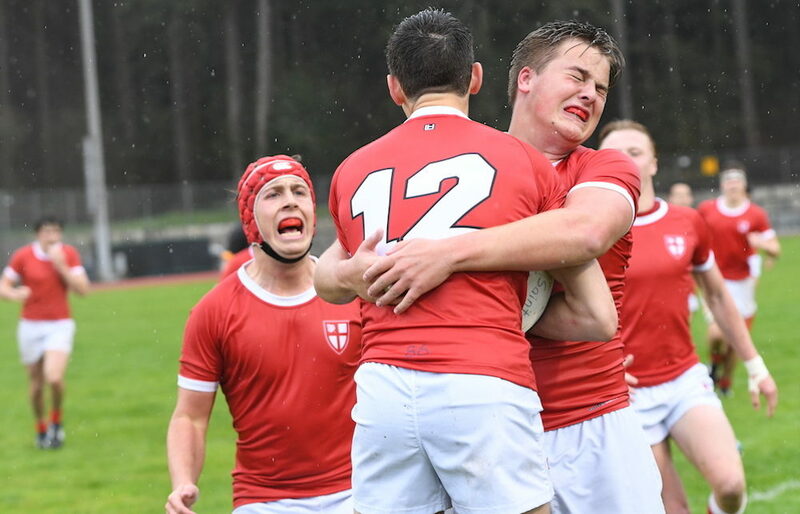 After a turnover filled first half in which St. George’s led 3-0, Thomas Kirkwood recovered a Shawnigan turnover with 23 minutes remaining in the match, and over the course of a dynamic 22-metre run, put on a pair of brilliant fakes, including one in which he planted his lead foot and proceeded to freeze two Stags at the touch line. Kirkwood’s own conversion made it 10-0. 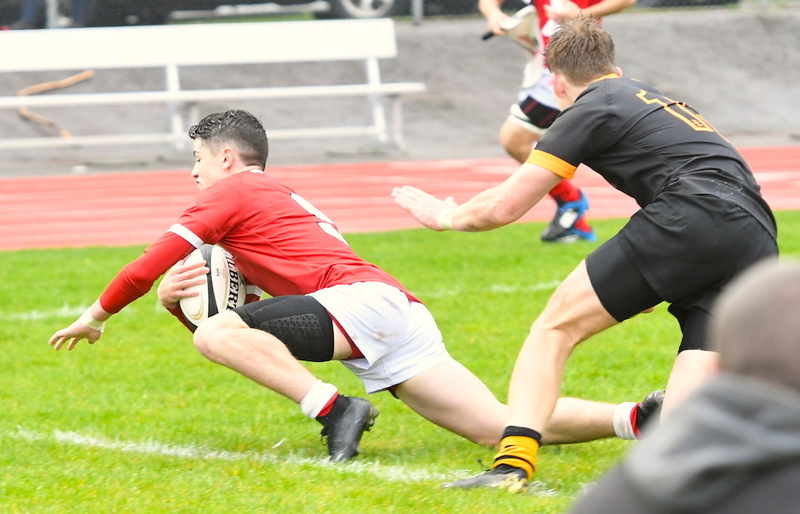 Shawnigan Lake, in a complete flip of last spring’s provincial semifinal, however, scored 13 straight points to go up 13-10 with three minutes remaining on the game clock. Jamin Hodgkins booted a penalty, converted a powerful run to touch by fullback Leo Montgomery, then kicked a go ahead penalty with just under three minutes remaining. Shawnigan Lake, which last season was upset in the provincial final by Oak Bay after having won three straight B.C. titles and eight of the previous nine, tipped its collective hat to Saints’ effort. Doyle felt that aside from the dramatic late try surrendered by his team, that the Stags had recovered nicely from a tough first half.